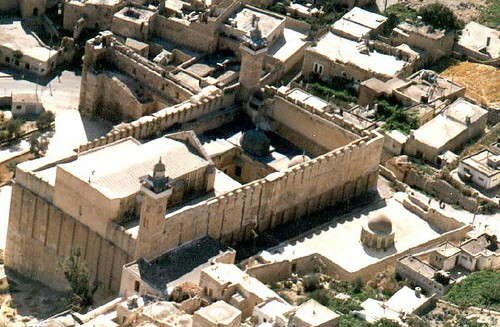 Hebron is located twenty miles southwest of Jerusalem. 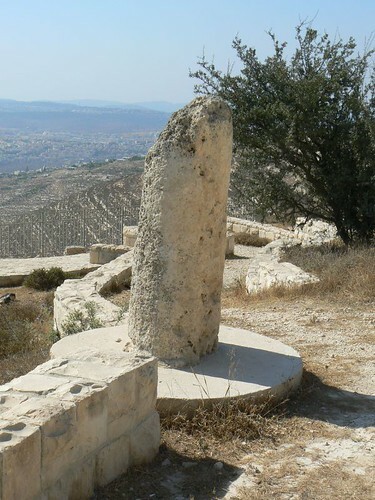 Hebron was an ancient Canaanite royal city, probably founded in the 35th century B.C., and mentioned in the Bible as existing during the 18th century B.C. associated with Abraham’s purchase of land there from the Hittites, as a burial plot for his family after his wife Sarah had died. 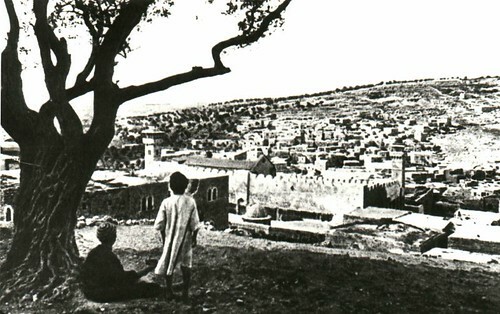 Hebron is mentioned as being formerly called Kiriath-arba, or “city of four”, possibly referring to a federation of four townlets, or four hills, before being conquered by Joshua and the Israelites (Joshua 14). 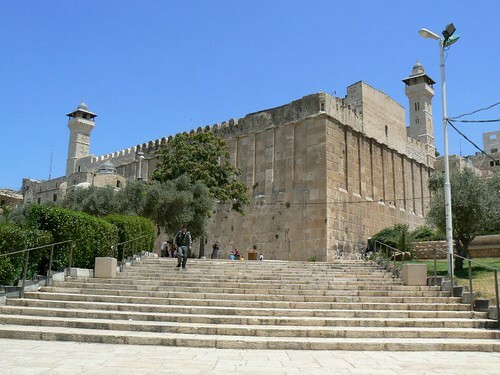 Hebron became one of the principal centers of the Tribe of Judah, and the Judahite King David reigned in the city until the capture of Jerusalem, when the capital of the Kingdom of Israel was moved to that city. 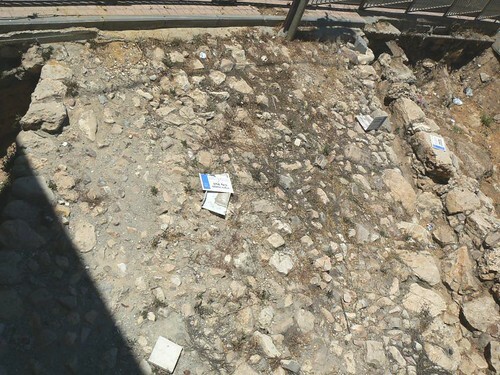 During archeological excavations conducted at Tel Hebron, called Tel Rumeida or Hirbe al Yahud (ruin of the Jews) in the local Arabic patois, jar handle stamps bearing Hebrew letters dating from 700 B.C., the oldest known inscription naming the city, have been found in Hebron (LMLK seal). 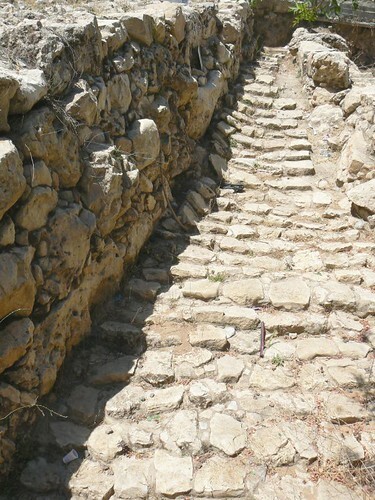 The Ridge Road (“Patriarch’s Highway”) connected Hebron with Shechem in the north and Beersheba to the southwest. Hebron was also linked by road to Lachish to the west and Arad to the south. 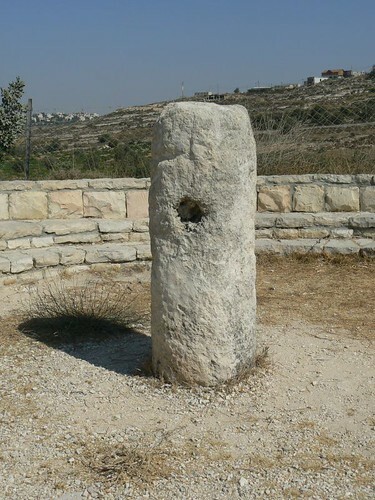 Roman Miles stones at the Patriarch’s Highway from Hebron to Jerusalem, near Gush-etzion. 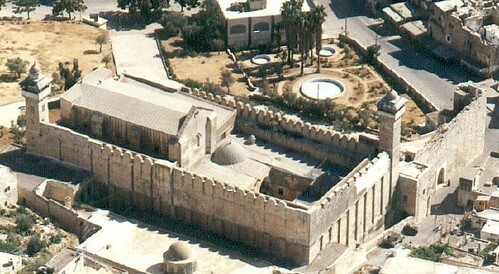 After the destruction of the First Temple, most of the Jewish inhabitants of Hebron were exiled and their place was taken by Edomites at about 587 BCE. . Herod the Great built a large rectangular enclosure over the caves of Machpelah (Cave of the Patriarchs), which is the only Herodian structure still completely surviving anywhere. 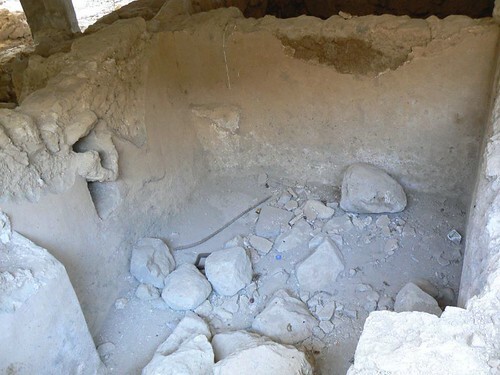 The heart of the site is the mysterious cave, hidden under the gigantic edifice which was constructed by Herod the great. 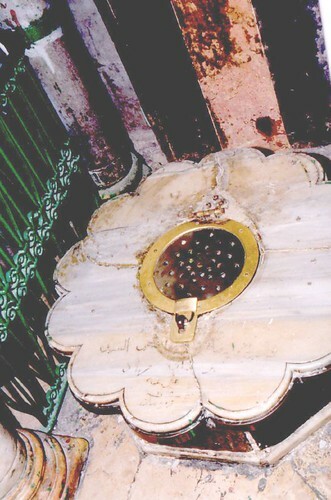 The “Lamp Aperture” a round opening in the floor of “Isaac’s Hall”, is treated as the cave’s threshold. 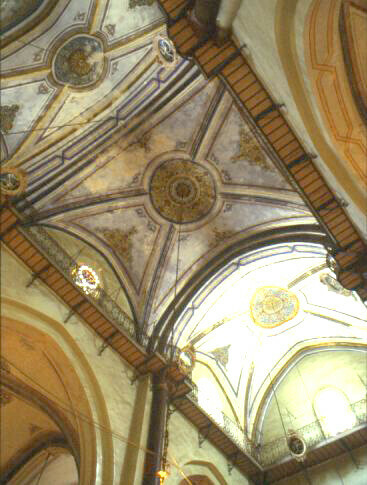 Each morning the cover is removed and oil lamps are lowered into the underground space. 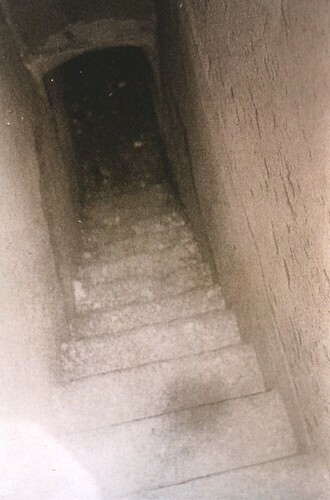 Steps leading to underground tunnel going from the Lamp Room ( the room below the “Lamp Aperture”). 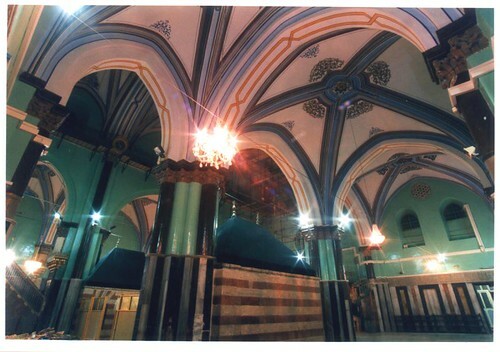 During the first war against the Romans, Hebron was conquered by Simon Bar Giora, the leader of the Sicarii. Eventually it became part of the Byzantine Empire. The Byzantine Emperor Justinian I erected a Christian church over the Cave of Machpelah in the 6th century CE which was later destroyed by the Persian.